Hailing from Music City, Jet Black Alley Cat has garnered a ton positive attention since the debut of their first album Part One. 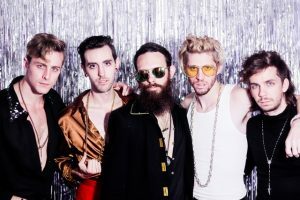 Though Nashville is notorious for their bustling music scene focusing on jazz, bluegrass, country, and guitar-heavy rock – the five-piece have been able to stand out of the crowd. The band is determined to make a name for themselves and their vintage-indie-pop tunes. Part One helped them rack up over 1MM Spotify streams and almost 31k monthly listeners before bringing on industry support. 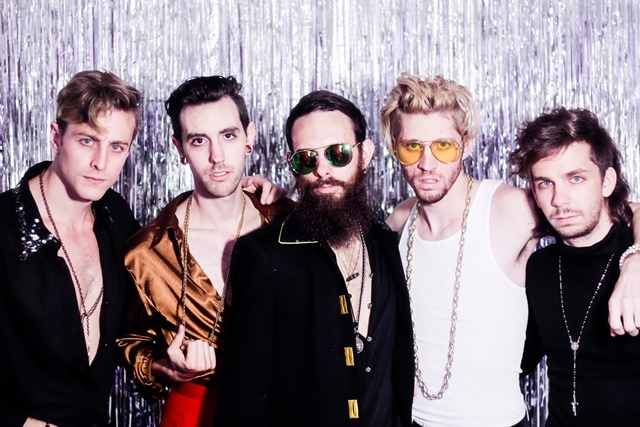 The band went on to release a handful of videos in support of the album including “Golden” and “Roxy.” JBAC have additionally opened for Pvris, Taking Back Sunday, We The Kings, Cute Is What We Aim For, The Dangerous Summer, and more. They recently released their new EP Motel this summer. Thanks for your time! So what do you all think is this summer’s big break-out song?? JOE – ‘Give Yourself a Try’ – The 1975. And if not this song then I’m sure they’ll throw something else out to us soon that is just as elite. Kacey Musgraves has also been flying out the hits. CHRISTIAN – 2018 has been full of its up and downs. From writing and recording a new record , to booking our full US tour and then executing it, it has definitely been a very rewarding year but a lot of hard work . Our goal for the year would be to push ourselves into a new level, a new way of writing, a new sound or idea… just chasing the idea of growth as individuals and a band . JOE – I’m not sure if there was a specific moment , but there are many specials moments we share – be it a laugh late at night in the van, a wild moment during a show where we can’t believe this is real or some experience that we never believed could’ve happened to the five of us . Throughout all of that I think we all realize how great our group is. How difficult was it to come up with your band name? What other names were you considering? JOE – We probably spent a full month discussing it, ha. I remember we had a full white board of names, but I can’t for the life of me remember a single one! 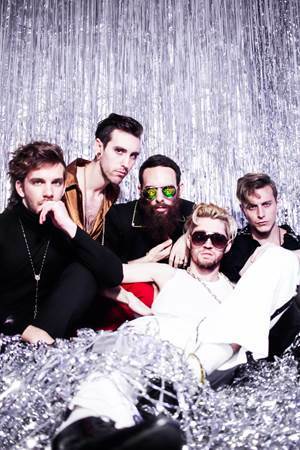 I was walking downstairs at my work one evening when Jet Black Alley Cat popped into my head, and I don’t think we even considered another one once that name showed up. CHRISTIAN – Nashville is a town filled with great musicians so it definitely pushed us to be good at our craft. Being skilled in performing a live show, creating a brand, an identity and a look… our surroundings pushed us to be something unique . What did it feel like releasing your newest EP, “Motel”? How differently did you approach the making of this collection compared to your first album, “Part One”? How has your sound changed on the new music? What has remained the same about your style? It was a rewarding feeling. We had been working on the idea for so long. The recording process took longer than we had anticipated, so with it finally being out there after such a long time with no new music it felt good. This process was so different in so many aspects than Part One. Part One was an accumulation of all ideas over a two and a half year span. MOTEL was pretty specific from the start of what we wanted to accomplish. We knew it was going to be a concept EP and we knew we were taking some chances with the interlude approach. I’d say how we differ most from record one to two is our willingness to try new things. The first EP, we definitely had some guidelines. This one we kinda just went for it. That mentality feels like it is carrying over to the songs in front of us. “Foolish.” It’s the one we haven’t made a video for on this EP due to how delicate the idea is. Both videos for ‘Miami Baby’ & ‘Nightlife’ are super straightforward/fun shoots that are full of life. I won’t give the idea away just in case we still do it, but there would be a contrasting darkness to this video to finish up conceptually how we viewed the record. CHRISTIAN – On stage is such a happy place – the studio/writing can all be pretty draining trying to find all the flaws versus being on stage where it’s kind of a way to release all the hard work and leave it out there for others to enjoy. CHRISTIAN – We are currently out on the LOVERS USA TOUR, our first full US tour. I’d recommend anyone seeing this to check out tour dates (www.jetblackalleycat.com/tour). I promise the show will not disappoint. JOE – Right now I can’t think of another place any of us would rather be. The experiences of going out on tour – into the unknown – and coming out with all kinds of new experiences in incredible. CHRISTIAN – I’m not sure that we are a super politically driven band – but I do think we push the ideas of love and sharing a moment with each other regardless of beliefs. We hope to create an environment that supersedes political views / religions / race and just have a moment to enjoy something and have fun – a way to escape. We for sure see how others are using their voice in this climate and support that fully. How important do you think social media has been to this band? Do all of you help to maintain all your sites or is one of you more into it all? Or do you rely on your PR/management team to handle it? JOE- Socials have allowed bands like us the opportunity to form a foundation by reaching people. Simple as that. After that I think it comes down to the songs and what kind of true relationship you are building with those who are a part of your group. I’d say more than anything, socials have provided the platform to execute our vision more clearly. For Jet Black, I do almost all of the content and communication. I would imagine it being difficult allowing someone else to do that. CHRISTIAN – There are so many people that would be interesting to have sit in on a project. Be it Kanye West, John Mayer to Hall and Oates. So many cool artists to spin ideas off of. We also have formed a ton of relationships with the bands we’ve played with from Glass House Point, The Hate Drugs, The Band Camino & others that would be an interesting experience. JOE – Probably would be too sad to care about a musical instrument. Maybe a concert bass drum so we could try to get off the island…. No but probably some kind of keyboard that could loop beats and do more than one thing. We’d need all the help we could get at that point. We really are just dudes doing all we can to accomplish a dream and live a life as cool and rewarding as possible. So if there is some message in there, maybe it’s that. Jetblackalleycat.com, but for most communication join The LOVERS USA CLUB.